Roasting once again takes this vegetable to the next level! This is one of my favorite Autumn & Winter side dishes. 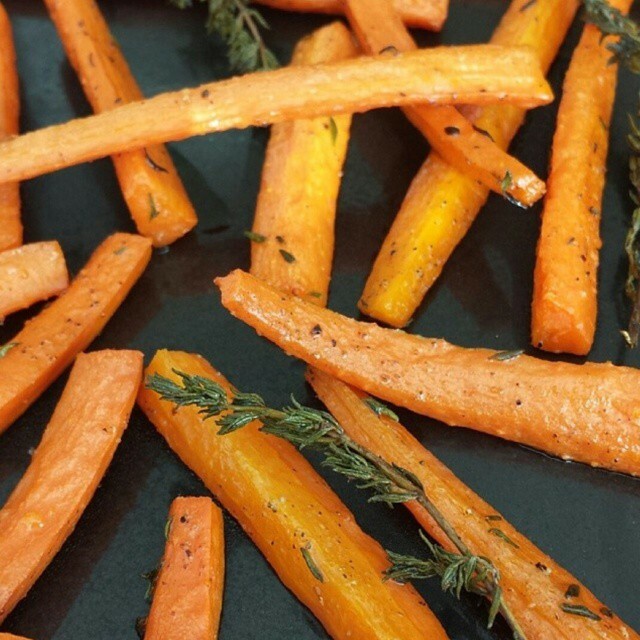 Toss carrots with the oil, salt & pepper. Arrange evenly on foil or parchment lined large rimmed flat sheet pan. Place fresh rosemary amongst the carrots. Cover pan tightly with another sheet of foil and bake for 20 minutes. Continue to roast, uncovered, an additional 20-30 minutes until lightly browned.